In Germany, football is the king of sports. While the national team snatched the World Cup in 2014 and is getting ready to defend the title this summer, league matches draw tens of thousands to local stadiums every week of the season. High-end facilities paired with the incredible atmosphere that fans of both first and second division teams of the Bundesliga create make for a unique experience. We made a list of seven German football stadiums every fan of the sport should visit at least once. 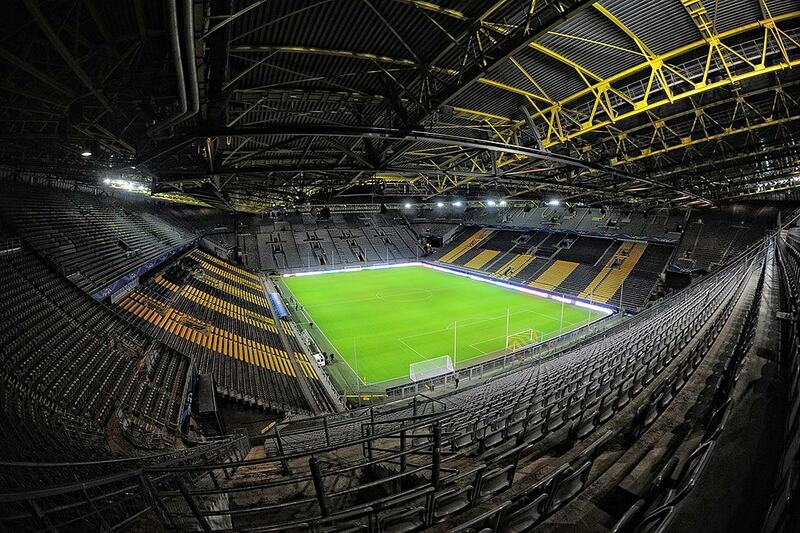 Dortmund’s stadium fits an impressive 81,360 people and polls on whose fans stir up the best atmosphere most often declare Dortmund supporters to be the winner. It’s one of those goosebump-sprucing football moments when 24,454 ecstatic Dortmund fans transform Europe’s largest freestanding terrace into a wall of black and yellow flags and banners to greet their team. Former Dortmund coach Jürgen Klopp couldn’t help but share a few tears when he said goodbye to the crowd at the Signal Iduna Park before he left for Liverpool in 2015. Bayern Munich ranks among the world’s most successful football clubs, and they’re currently in the Bundesliga lead once again. Though their fans seem to have grown somewhat tired of continually celebrating the team, the 75,000-capacity stadium is up there with the world’s best. The design is often jokingly compared to a pillow or rubber raft but was a ground-breaking design when it first opened its doors in 2005. 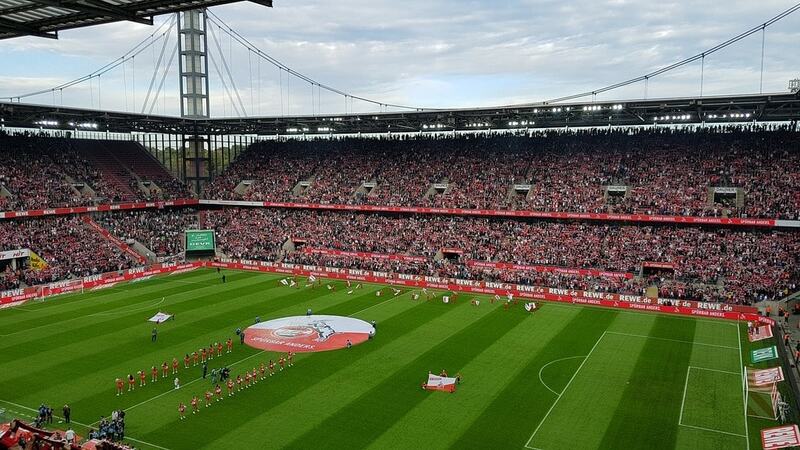 The inflatable panels light up in all red whenever Bayern Munich play, blue for TSV 1860 Munich and white for neutral and international games. The design idea made it across the pond and served as the template for the MetLife Stadium in New Jersey. Sold-out games see 62,271 people pour into the Veltins Arena, most of them proudly dressed in their royal blue and white football shirts in support of Schalke 04. While the home-game atmosphere is infectious, the high-end facilities of the stadium might even brighten the day of the odd engineer: fold-away stands, a closable roof and a 5 km (3 mile) beer pipeline that pumps the brew from the vaults to the food stalls. And should events other than football be on the agenda, the grassy field simply slides away under the stalls. Cologne has arguably the most loyal fanbase of all Bundesliga teams. The 1. FC Koln has gone through several relegation battles over the past decade and sometimes gives a mediocre performance at best. But whatever the outcome of a game or a season, their fans refuse to give up on their team but are rather known to create an electrifying atmosphere with their tireless cheers and chants. Only last year, when their team qualified for the Euro Cup for the first time in 25 years, nearly 10,000 fans travelled to London to support their team in the first game against Arsenal. Not far from Hamburg’s notorious redlight district is the home ground of the St. Pauli club. Back in the 80s, an alternative and politically left-leaning fanbase emerged, very much representing the population of the St. Pauli neighbourhood. In a time when hooligans and right-wing ideologies swept the European football scene, the St. Pauli club was the first in Germany to ban fascist emblems and activities from their stadium. Since, the club has gained a cult status that reaches far beyond the city borders and the once 1,600-strong audience have turned into a passionate crowd of 29,546 people whose singing echoes all across Hamburg during home games. 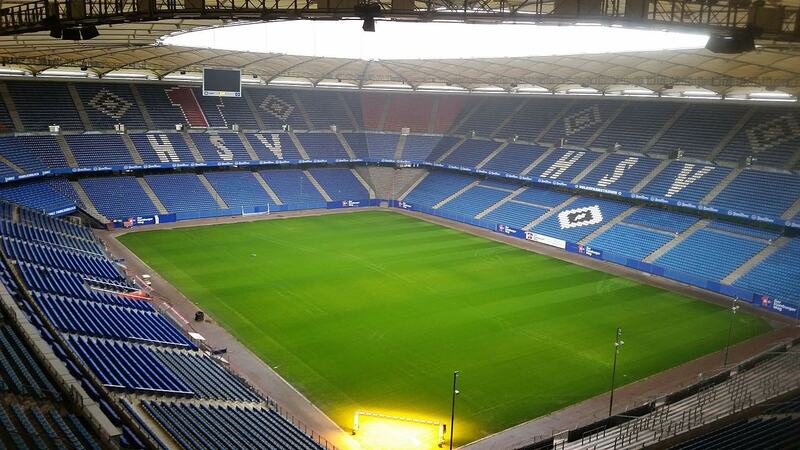 The Volksparkstadion is the home ground of Hamburg’s first division club HSV Hamburg. 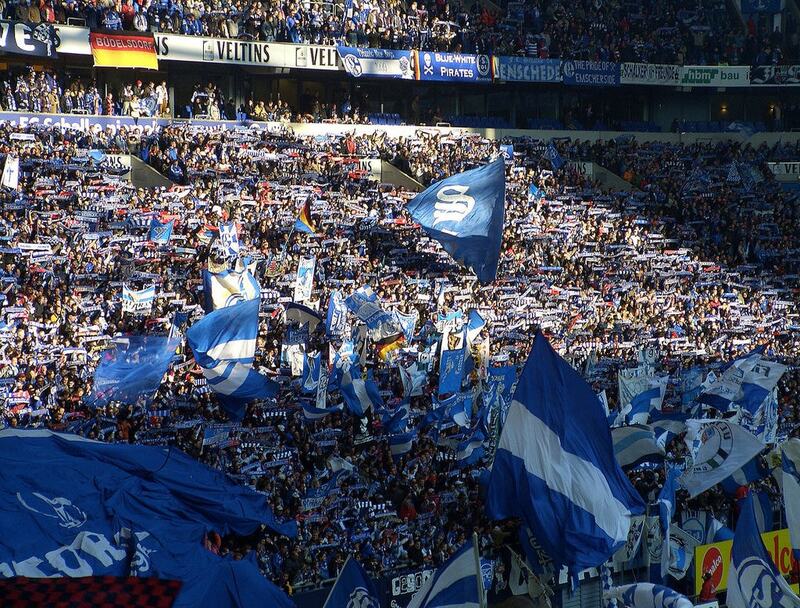 Unlike St. Pauli, their fans have to travel to the outskirts of the city to cheer on their team, but on the upside, the Volksparkstadion has about twice the capacity of Millentor. The UEFA Elite stadium has hosted several international games since its inauguration in 2000, including some of the 2006 World Cup matches and the 2010 Euro final between Atlético Madrid and Fulham. Bundesliga club Eintracht Frankfurt calls the Commerzbank-Arena home. Since the stadium first opened in 1925 it has undergone several costly upgrades. The retractable roof is the world’s largest of its kind and devoured a whopping 20 million Euros ($24.5 million). Now, it shields up to 51,500 spectators who fill the seats and stands of the arena during league matches on bad weather days. The fans’ favourite high-tech gimmick is the video cube that is suspended from the centre of the roof construction. Each of the four screens measures 31 square metres (334 sq ft).